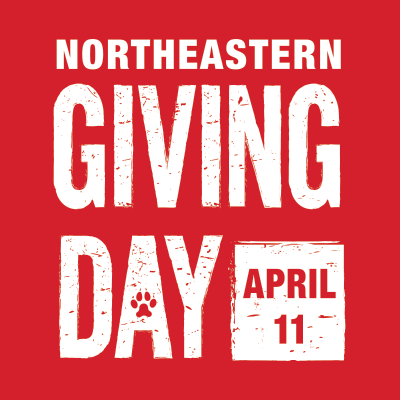 Note: Authorized Users of this product are defined as the employees, faculty, staff and students of Northeastern University and other individuals to whom Northeastern allows legal access to the library’s collections and facilities on-site. a. Authorized Users … may download, save, or print text, search results, or other information from SCITATION solely for their private use or research. The Sites and Authorized Users may only use this online access in a way that conforms with all applicable laws and regulations. b. The Publisher of each online journal … grants Authorized Users permission to use brief quotations from the content of the online journals with the customary acknowledgment of the source, and to copy and transmit content from individual articles in “person-to-person” and non-systematic exchanges of information between Authorized Users and specific individuals. c. The Subscriber agrees that use of the Licensed Material by the Subscriber/Authorized User other than indicated above is a violation of the terms of this Agreement. Any other use of the Licensed Material requires the written permission of the copyright holder. d. Authorized Users may provide links to content within course management software (e.g. Blackboard) whereby content may only be accessed by current, registered class participants. a. Altering, recompiling, systematic or programmatic copying, reselling, redistributing, publishing or republishing (beyond the brief quotations permitted above) of any journal text, search result, or other information from the Licensed Material, or any portion thereof, including without limitation, copyright, proprietary and/or other legal notices contained therein, in any form or medium is prohibited. b. Systematic or programmatic downloading, printing, transmitting, or copying of the Licensed Material is prohibited. “Systematic or Programmatic” means downloading, printing, transmitting, or copying activity of which the intent or the effect is to capture, reproduce, or transfer the entire output of a journal volume, a journal issue, or a journal topical section, or sequential or cumulative search results, or collections of abstracts, articles, or tables of contents. Other such systematic or programmatic use of the Licensed Materials that interferes with the access of Authorized Users or that may affect performance of the SCITATION System, for example, the use of ‘robots’ to index content, or downloading or attempting to download large amounts of material in a short period of time, is prohibited. c. All rights not expressly granted herein are reserved to the stated Publisher of the Licensed Material. The Sites and Authorized Users may not circumvent AIP’s access control systems or use AIP’s systems or services to make any attempt to gain unauthorized access to any other system or network. d. The Publishers shall not be required to distribute, and the Subscriber shall not redistribute, the Licensed Material or any article therein to a country to which export is prohibited by U.S. law or regulation. This material is subject to all applicable copyright, database protection and other rights of the stated owner and Publisher under the laws of the United States and other countries. Copyright notices in the Licensed Material and its articles may not be removed, obscured, or modified in any way. Unauthorized copying or redistribution of any content licensed herein is a violation of copyright laws.